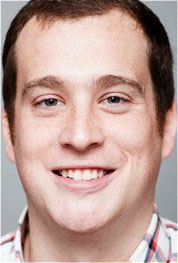 SnapStream keeps internal logs for its processes. The SnapStream’s logs can provide useful general information, debug events, warnings and potential errors for your SnapStream administrator and SnapStream’s Support team. Choose “View Log” under Settings on the Admin page to go to the log page. At the top of the page you will find options for searching the log. The default log level will be “Information”. 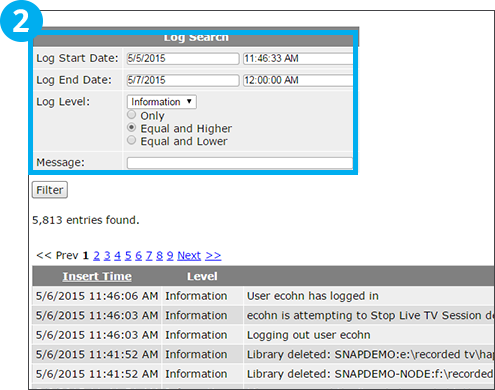 The information log level will display events in the software that SnapStream users and administrators will find useful. Types of information at this log level would be recordings beginning and ending, files expiring and settings being changed. By changing the log start date and end date, you can display only the events that take place during a particular time frame. You can search the log by entering a search term in the “Message” field. After changing the log level, time frame or adding a search term, click “Filter” to filter the log results. Clicking on the “Log Level” picklist will allow to you to select a different log level. 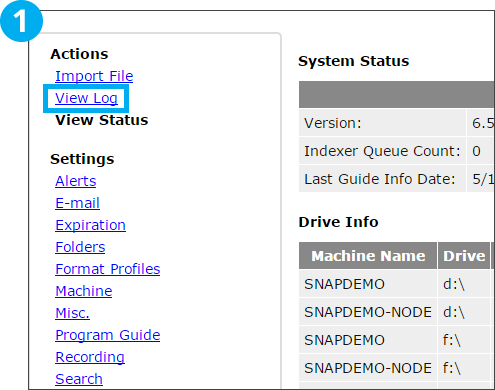 Additional log levels include Debug, Warning and Error. 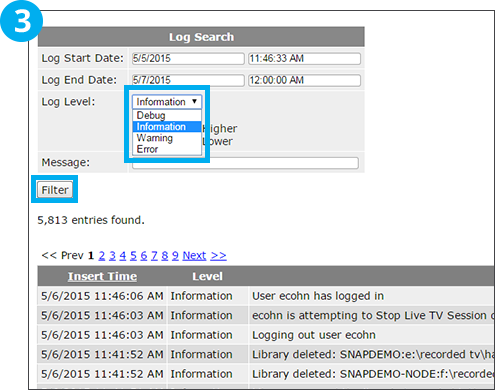 After choosing a new log level, select “Filter” to show log events for that log level.